I want to give a big thanks to DoSomething.org for the American Express grant they gave me in November. 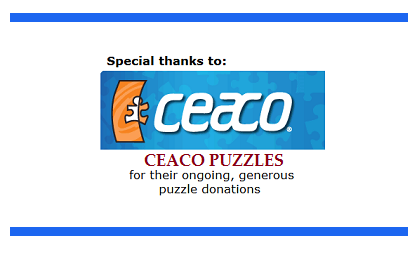 I used the funds to purchase 126 puzzles. The puzzles I purchased were 200 or fewer large pieces. It is very difficult to find this type of puzzle. Puzzles with 200 or fewer pieces are usually meant for children, and so they have young themes like SpongeBob or Dora. 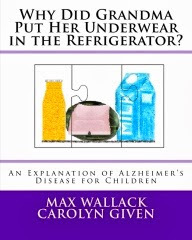 This makes finding puzzles for Alzheimer's patients quite difficult. 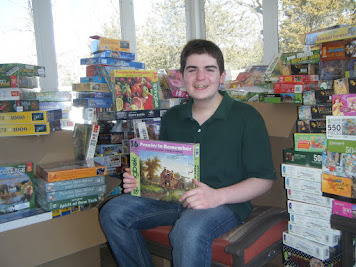 Through bargain shopping in stores and online, I was able to purchase the 126 puzzles. I included some of those puzzles in each of 45 shipments of puzzles that I sent out to veteran's homes that care for veterans with Alzheimer's disease. 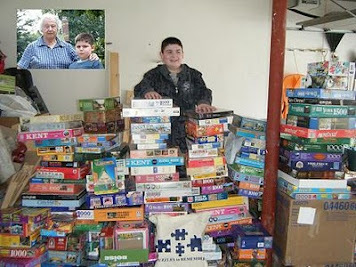 I know those puzzles will be a great help to those patients! DoSomething is a wonderful organization. It provides resources, seminars, grants, and encouragement to young people under the age of 25, encouraging them to DO SOMETHING to benefit society. 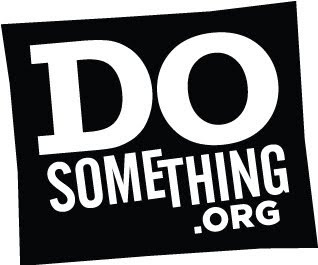 They have a great website at www.DoSomething.org. Thanks, DoSomething, for helping me help so many people!